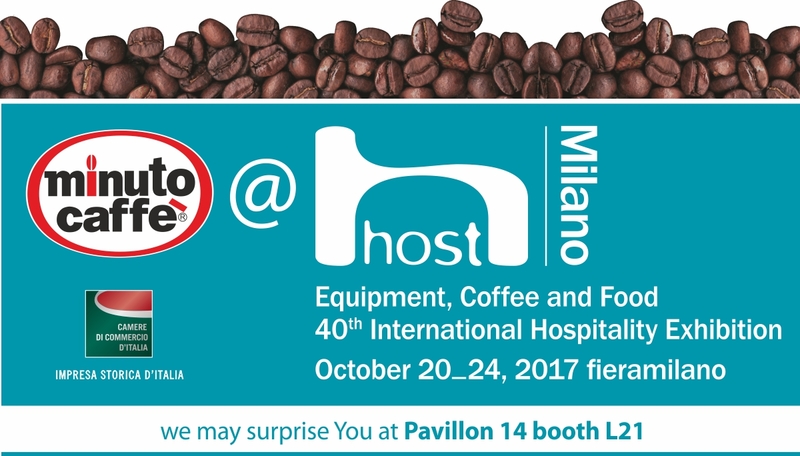 If Host were a sport event and the Roastings were athletes, surely this event would be the Olympics, with the difference that the Olympics are each 4 years, while Host is biennial, and wait for us in the majestic Exhibition centre of Milano Rho from 20 to 24 October. To understand the majesty of the event you just have to think that all the 24 exhibition pavilions of the centre are occupated by booths of coffee specialists and catering operators: probably is not possible to visit all the booths thoroughly. If the focus of your visit is the world of coffee, we have the brazenness to propose you to start your visit from the Pavilion 14, more precisely, from the booth L21 of Minuto Caffè, where three persons will welcome you with sympathy to show you how much work our Roasting made in the last two-year period to take the opportunity to innovate and put them in the service of operators and consumers. If you come from the lane H, probably you will bump into kindly Gabriella, who will offer you to taste a espresso, nothing special, isn’t it? But it’s a strong start: the coffee you’ll taste is a coffee certified as organic, with single-origin from Mexico, while the coffee machine with which Gabriella will prepare it is the fancy Vibiemme Tecnique, that inside of its body, appreciably slender, hides an elaborate system of circulating water able to maintain unaltered its properties and to control with absolute accuracy and supply stabiliy the extraction temperature of the drink. Gabriella will have correctly set the temperature of an extraction group to obtain tha maximum of the sweetness and a note of lovely sourness from the mexican coffee, and major body and intensity from the awarded blend Espresso Love 100% arabica: have a nice tasting! But if you walk toward from lane L, you’ll bump into Paola or Giacomo: hopefully the first chance is the best: Paola will speak to you about the real revolution in the coffee bar marketing: iobevominuto program. 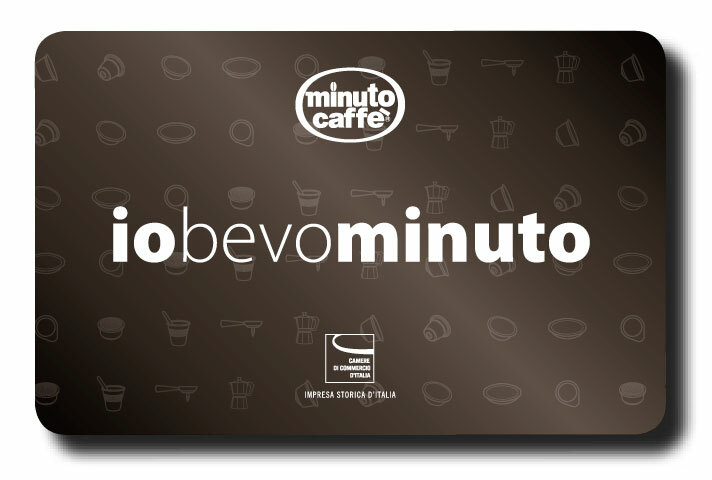 Iobevominuto is a Fidelity card that consumers can get after registering in the website www.minutocaffe.it, and allow to obtain discounts and to accumulate points with the consumption in the affiliated stores; the informatic system – totally written by us – synchronizes completely silently the customers points on every cash systems installed in the stores, wherever they are, to allow them, by keeping their preference to Minuto Caffè, to get rewards and extra discounts. The way with which it’s released, create a closed connection between the consumer and its preferred shop, that, thanks to the customer information received during the registration, allow the operator to communicate with him in a personalized way by e-mail or SMS to get them up-to-date about events and sales promotion. Paola will propose you to register to the programme to experience it and to have a selfie picture with you. Then you can bump into Giacomo, and you are cooked! Giacomo would immediately show you all changes made in the Minuto Caffè factory in the last 6 months, necessary for the organic certification just achieved for the production of the coffee beans and Nespresso* compatible caps, and to the semplification of the production process; each packaging installations were moved to one department of the factory which is under the roasting and grinding departments: so the transportation of the coffee is mainly achieved by gravity and this avoids contamination of products, there is a energy saving and this avoid possibly malfunction to mechnical pick-up system or to pneumatic conveying. A great effort was aimed at the expanding storage capacity with a remake of the floor of the intermedial level of the factory with a high resistant resin, conforming to dietary requirements, and the installation of 4-level shelves, enough to storage in a single area all packaging materials necessary to the packaging. The investment project will end in the first quarter of 2018, with the installation of pick-up system to connect all grinders to any packing plant for coffee grounds, including capsules. On the packaging plant front for the Nespresso*compatible capsules, the configuration of the capsules filling machine has been optimized to allow the maintenance of the total production process, from the coffee grounding to its degassing, to the capsules filling in a nitrogen modified atmosphere to minimize the product oxidation and extend the shelf life. Giacomo will have his eyes sparkle while he will show you a white Nespresso* compatible capsule: aesthetically is not much, but the innovation is sensational: it’s the new Minuto Caffè compostable capsule certified Vincotte* OK Compost*: finally we can reduce the enviromental impact of the consumption of coffee capsules, with no compromise the drink taste and creamness. At the exhibition you can taste two of the best coffee in compostable caps: the blend Bar Gourmet Espresso 100% arabica and the single origin Brasil Bourbon, packaged with a new aluminium-free material that gives us excellent results for the shelf life ( we have some little problems in the opening of the package and we will fix it, for the moment Paola and Giacomo will have scissors!). 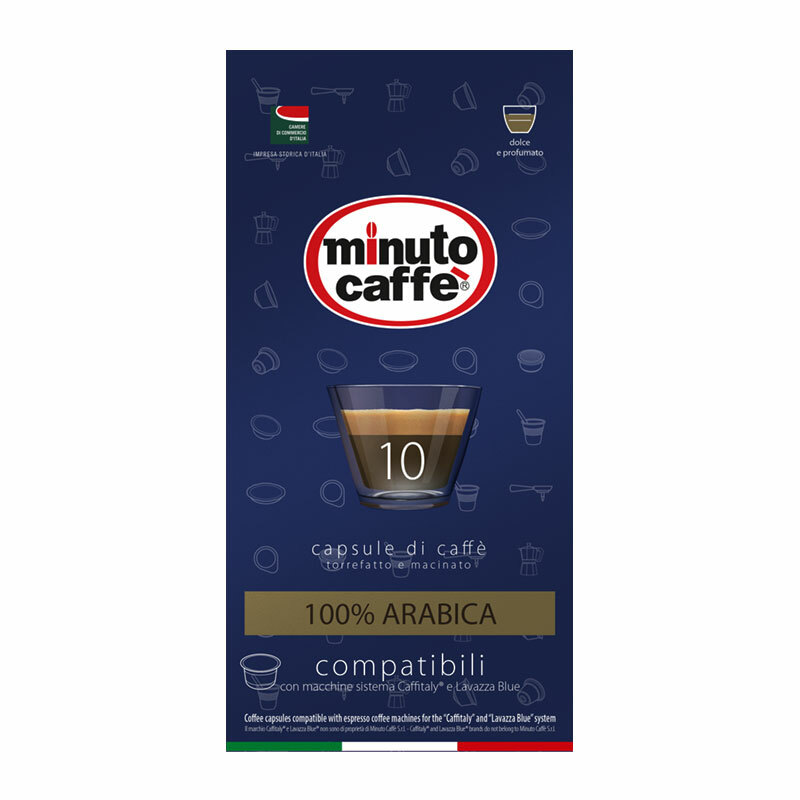 It will be also possible to see a preview of the “micro” Minuto Caffè box for self-protected Nespresso* compatible capsules: the new case is four times smaller than the previous. 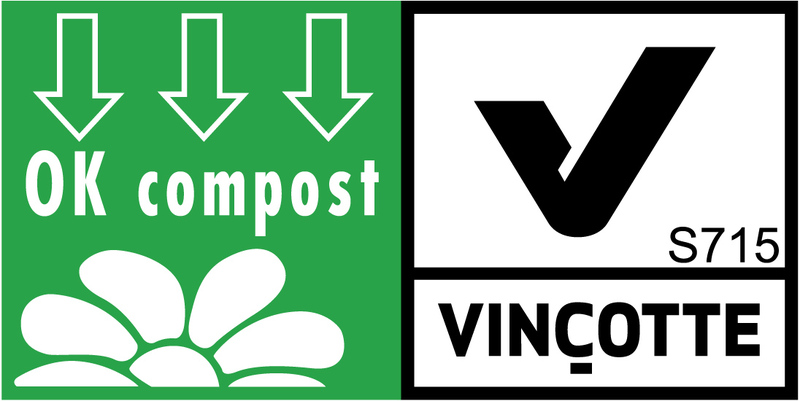 If – especially for the international market – paper filter pods continues to be the single-dose closer to a real espresso, Minuto Caffè reaches the peak if the expectations with the E.S.E* (Easy Serving Espresso) certification that stipulates the total conformity of the article to the established by E.S.E* Consortium, which connect important international Roastings and coffee machines productors like De Longhi*, Philips Saeco* and Groupe SEB (Krups)*. For the occasion the 18-pods cases have been totally renewed and they are presented with an elegant light green background, to recall their low enviromental impact. 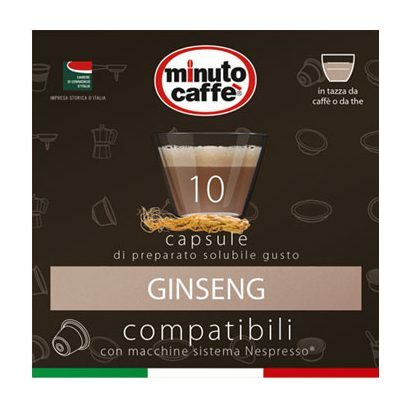 At the booth will grandstand the new single-dose soluble products of Minuto Caffè, now arrived for the Nespresso* compatible caps and for Nescafè Dolce Gusto: for Nespresso* we show a high quality ginseng without sugar and soluble barley, for Dolce Gusto are finally avaible the drinks highly requested by the market, like “Cortado”, chocolate and – not avaible as original product – sweetened ginseng. We remind you that soluble drinks with barely, ginseng, chocolate and lemon tea tastes, are already available fot the caps Lavazza Espresso Point. For the food service industry, Giacomo will invite you to consider to propose a coffee menu with Nespresso* compatibles caps, with a choice for the consumer of 8 different coffees (soon also the organic mexican coffee): thanks to this, the closing of the dinner for your guests will be always surprising and for you gratifying from the professional and economic point of view, thanks to the higher price that your guest accept to pay for a selected coffee. For the restaurants with major inflows it’s avaible an updated version of the machine with the filter-holder for 2 and 4 coffee, with a wider cup preheating level and high precision thermostats with a digital display, which permit to reduce the electricity consumption of 20%. You’ll be groggy, when we’ll remind you the innovations presented 5 months before at Tuttofood 2017: beans and ground coffee Aroma and single-origin Costarica, the TuttiGusti Nespresso* compatible capsules with mixes flavours, Caffitaly* compatible caps, now main characters of a funny spot presented on a display hung on a stand side, the “format”of Minuto Caffe shops, with its elegant exposure of all the avaible products. At this point you can stroll for the rest of the day around the pavillions with the trendy Minuto Caffè shopper that Paola will give you: you’ve already seen the best of the exhibition! This entry was posted in Uncategorized and tagged barely, bit, coffee, coffee, coffee lovers, compatible capsules, compostable capsules, dolce gusto, dolcegusto, events, exhibition, fiera milano rho, fieramilano, ginseng, horeca, host, host milano, international coffee, iobevominuto, Nespresso, retail, rho, scae, single origin, solubles, vibiemme, world minuto caffè. Bookmark the permalink.